In March 2016, Steven E. Farmer, Ed.D., was appointed CEO (Superintendent) of Western Pennsylvania School for the Deaf, ending an exacting 8-month search (and a series of campus and community protests over administrative policies). Having attended Maryland School for the Deaf and a mainstreamed public high school, he learned to appreciate the advantages of both, noting that MSD offered unimpeded, open communication. 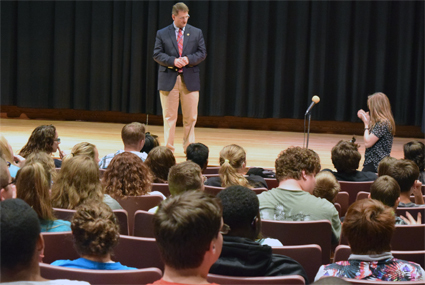 After arriving at WPSD, he visited every class, introduced himself to students, parents, and staff, and greeted them, establishing the hallmark of his tenure: open communication. He visited WPSD''s other campuses (Clarks Summit and Camp Hill) and met with stakeholders to discuss their concerns. He said, "This is a wonderful school already. And I will try to find areas that need improvement. There is always room for improvement, but this is already an excellent school. As for the ASL-in-the-classroom controversy, he is addressing that. We wish him and WPSD the best.